Judy Deichman, an alumna of our School Librarianship Master of Education program, is truly a shining star. 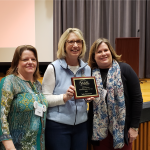 Deichman is a librarian at Nottoway Middle School who has recently been recognized with the Longwood University Thomas Jefferson Professional Achievement Alumni Award and the Virginia Association of School Librarians (VAASL) James Regional Librarian of the Year Award. 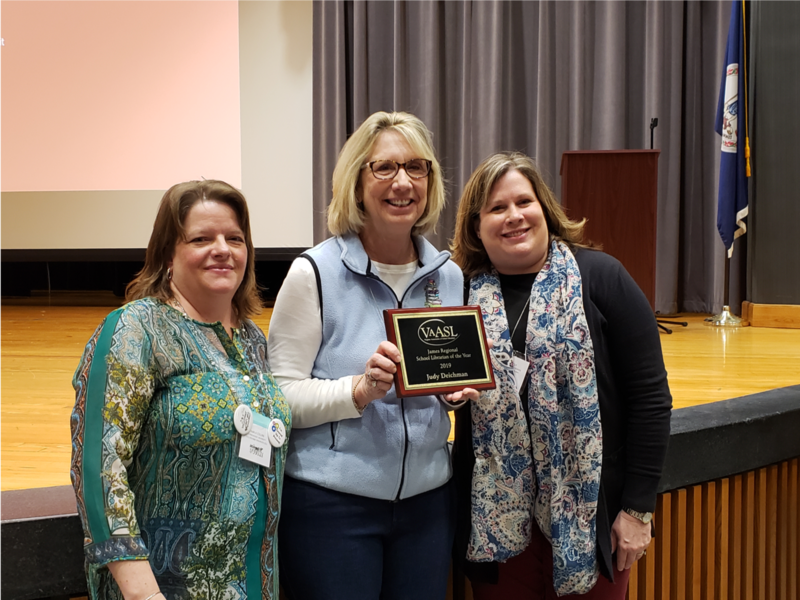 On top of the high honor of being named the VAASL James Regional Librarian of the Year, Deichman was recognized by Longwood for her achievements and her leadership roles in her profession. The Thomas Jefferson Professional Achievement Alumni Award recognizes alumni who have distinguished themselves as significant contributors to their profession and stand above their peers as leaders and role models. Deichman’s proactive approach in her profession has contributed greatly towards her strong leadership role among her peers. In 2015, Deichman realized that although the library stayed open over summers, some of her students were not able to utilize it due to lack of transportation. Wanting to assure all students had the same opportunity and access to the books, she decided to bring the library to the students. With a donated small bus and a grant to purchase books, Deichman was able to make the Nottoway Book-A-Way Summer Bookmobile. This innovation and proactivity is just one example of the leadership role that Deichman has taken in her profession to improve the local community.